iTunes can be considered as the control room of media content on all Apple Devices. If you love watching videos on your Apple devices,you can either purchase them from iTunes or add your local downloaded videos to iTunes library. iTunes support QuickTime and MPEG-4 videos for playback. The Movie section of the iTunes library shows all your TV shows, music videos, movies and other video content. In simple situations, you can drag and drop the desired videos from your PC to iTunes library. The added videos can be then synced to iDevices for playback. However, sometimes we'll meet some troubles in adding MP4 (MPEG) to iTunes. Adding MP4 to iTunes seems to be a simple task, but many times the videos do not get added to iTunes library and in such situations, they need to be converted to a compatible format. We will discuss situations when MP4 cannot be added to iTunes in the following part of the article. Are you having trouble adding MP4 (MPEG) to iTunes? MP4, as a container format, differs in the video codec. MP4 files can be encoded in a number of audio and video codecs like H.264, MPEG-4, AAC, H.263, and others. On the other hand, iTunes support only a few of these MP4 file codecs like MPEG-4/H.264 and AAC. So, if your MP4 files are rejected by iTunes, it's most likely the codecs in MP4 files are unaccepted by iTunes. To copy MP4 to iTunes, you will need to convert MP4 files to iTunes MP4 codec. 2. MP4 files are added but you cannot see them. After the launch of iTunes 11, all the movies and videos which are not purchased from iTunes will appear under Home Videos of the Movies category. Earlier these videos were added to My Movies section. Thus there is a possibility that you are not looking for the MP4 videos in the right section or category. If your MP4 file has video and audio codec supported by iTunes, they can be successfully added and played in iTunes. But in order to sync these files from iTunes to iDevices, they need to meet the technical specifications of the devices like bitrate, size, sample rate and others. So if technical specifications do not match, MP4 files can be added to iTunes, but cannot be synced. To solve the problems of Adding MP4 to iTunes smoothly, you'd better convert MP4 to iTunes-compatible format like MOV etc. This part will introduce a helpful solution for you to convert MP4 to iTunes on Windows. Check it out. A professional video conversion tool to convert MP4/MPEG to iTunes MP4 codes. Optimized presets for iTunes without considering the complicated parameter settings. Directly add comment, description or other metadata information to your video. 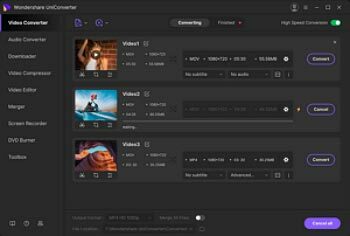 Versatile toolbox combines video metadata tool, GIF maker, casting video to TV, VR converter and screen recorder. How to Convert MP4/MPEG to iTunes MP4 Codec? Step 1 Import files to this MP4/MPEG to iTunes converter. 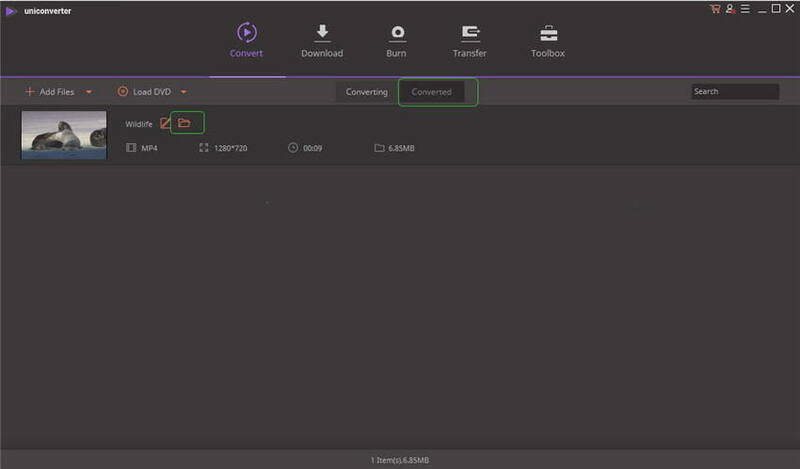 To import your local MP4 video files to this program for video conversion, you have two optional ways. One is to hit the Add File button to browse your computer to select and import your MP4 files. The Secord one is to directly drag and drop your local MP4 files to this program. Step 2 Select an iTunes supported format as the output format. Open the output format window by hitting the Convert all files to drop_down list on the right side of the main interface, and then go to the Device category to select the Apple device model you want. The output format is not only fully compatible with iTunes, but also suitable for the corresponding Apple device best. After selecting an iTunes-compatible format for output, you can click the Convert button on the right. By doing this, this app will start to convert MP4 to iTunes. When the conversion finishes, you can click Converted button to locate the downloaded video. Note: With this smart UniConverter (originally Wondershare Video Converter Ultimate), converting MP4 to iTunes is a breeze. Once these converted videos are added to your iTunes library, you can use them on any of your Apple devices as if they're made specifically for iTunes. Just connect your Apple device to the computer via cable, and then sync these output files to your device via iTunes. To add MP4 files to iTunes on Mac, you can simply drag and drop them but again, incompatible codecs, and other problems may arise. 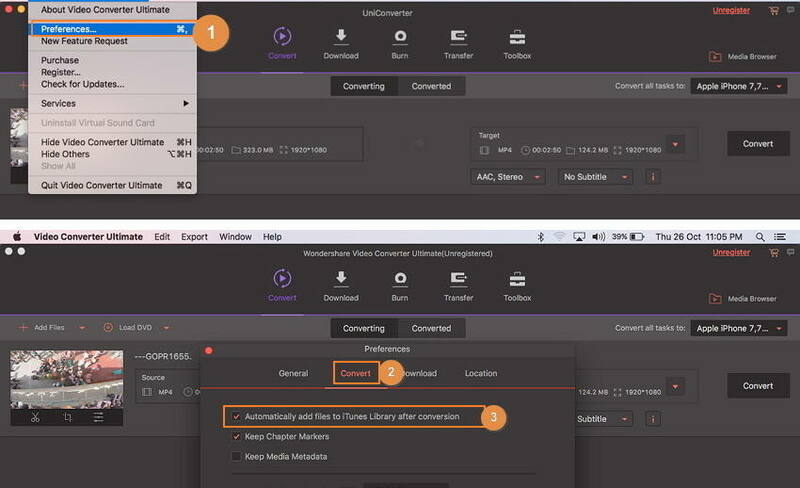 So to make sure that your favorite MP4 files are added without any issues to your iTunes on Mac, use Wondershare UniConverter for Mac (originally Wondershare Video Converter Ultimate for Mac). This wonderful software looks after all your video related needs on Mac. Be it video format conversion, video download, transfer to other devices or adding to iTunes, the software does all with the perfection. When you add MP4 to iTunes on Mac using the Wondershare software you first convert it to Apple compatible format so that there are no compatibility issues. Step 1 Launch the Mac converter and add MP4 file(s). Open Wondershare UniConverter for Mac (originally Wondershare Video Converter Ultimate for Mac) on your system. 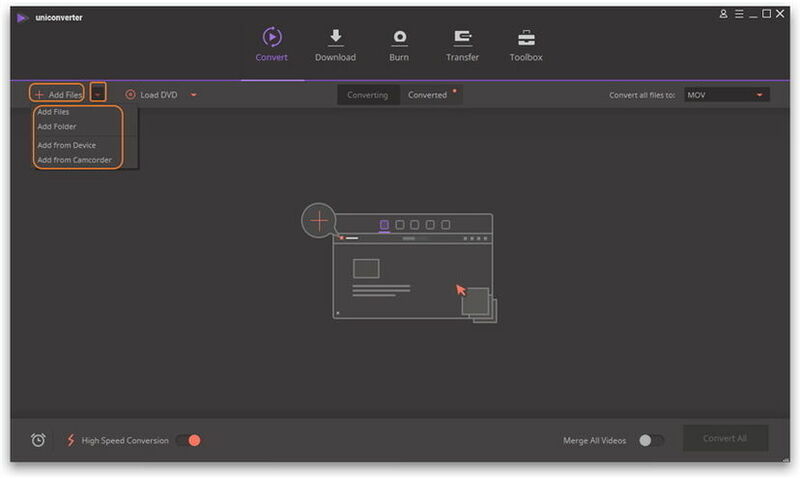 On primary system interface, select the Convert tab and click +Add Files to browse and add MP4 files from the computer. Alternatively, you can also drag and drop the files to the software interface. Step 2 Set output format as Apple compatible format. After adding desired MP4 files, click drop-down icon next to Convert all tasks to:. Select Apple and desired iDevice from Device tab. Step 3 Convert MP4 and sync files to iTunes. Before the conversion, make sure you have enabled the option Automatically add files to iTunes Library after conversion so that you can sync converted MP4 to iTunes as soon as you finish the conversion. Then click Convert All to start the conversion process of MP4 to Apple Compatible format. 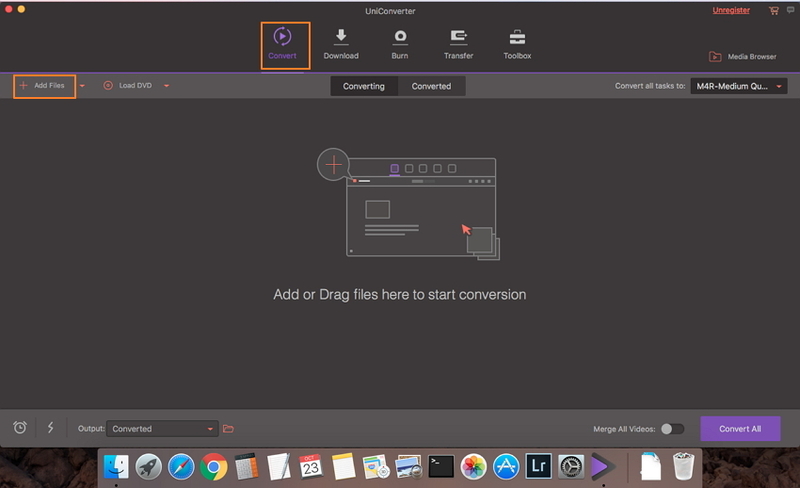 Thus Wondershare UniConverter for Mac (originally Wondershare Video Converter Ultimate for Mac) proves to be an excellent MP4 to iTunes converter. 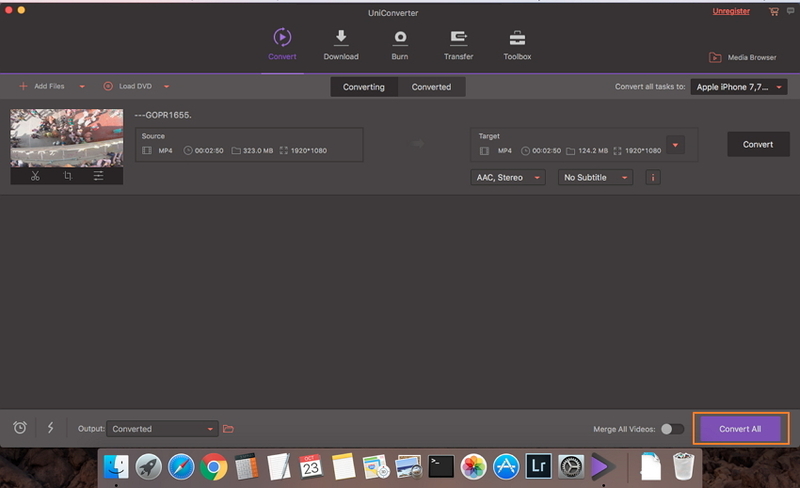 Get your MP4 files converted to iTunes in a quick and simple manner using Wondershare UniConverter (originally Wondershare Video Converter Ultimate) now. > Resource > MP4 > Can't Add MP4/MPEG to iTunes? Solved.